Junk bonds are bonds whose credit rating is lower than Baa3 for Moody’s or BBB- for Standard & Poor’s and Fitch Ratings. This means that they have a higher risk of default than investment grade bonds, and therefore offer a higher yield as well. Other names for junk bonds are non-investment grade bonds, speculative grade bonds, high yield bonds, high opportunity bonds, or even fallen angels. How to Invest in Junk Bonds – This is a series of 3 articles walking you through the right times to invest in high yield bonds, how to evaluate individual junk bonds, and the logistics of buying junk bonds. Junk Bond Default and Recovery Rates – While junk bonds are certainly riskier than other types of bonds, their default and recovery rates might surprise you. Junk Bond Balance Sheet Analysis – Before investing in high yield bonds, you want to make sure you know how leveraged the company is. Some types of leverage are easy to track down and others are not so easy to find. Comparing Investment Grade vs. High yield Bonds – Wether or not high yield bonds are a good buy relative to an investment grade bond comes down to default and recovery rates. Here is a quick and dirty way to compare and see if junk bonds are a better deal than investment grade bonds. High Yield Bond Funds – A little skittish about buying individual junk bonds? Investing through a mutual fund may be the answer. You can read our ratings of some of the more popular junk bond funds here. Junk Bond ETFs: HYG vs. JNK – Thinking about investing in or trading a junk bond ETF? In this article we compare the two largest ETFs which invest exclusively in junk bonds. 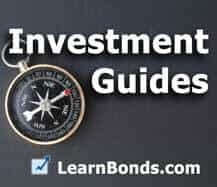 For a complete list of all the junk bond educationa and commentary here at Learn Bonds go here. Over the last twenty years, junk bonds have averaged paying about six percent more in interest than US Treasury Bonds. Believe or not, the debt of most corporations is considered junk. According to Glen Yago at the Milken Institute, “The debt of 95 percent of U.S. companies with revenues over $35 million (and of 100 percent of companies with revenues less than that) is rated non-investment grade, or junk.” The value of junk bonds tends to drop in periods of recession because of the increased risk of such a default. By comparison, investment grade (non junk) bonds tend to increase in value during recessions, as normally interest rates fall as the economy slows. Because of this fact junk bond returns show a higher correlation with the stock market than with the bond market. This lesson is part of our Free Guide to Investing in Corporate Bonds. Continue to the next lesson here.